A meeting of deputy prime ministers is planned. Ukraine has agreed to lift the moratorium on the exhumation at local Polish burial sites, the press service of the Ukrainian president has said after the meeting of the Polish-Ukrainian presidential advisory committee in Krakow on 17 November. "The sides agreed it is necessary to lift the moratorium on search and exhumation works and general [grave] restoration. In this context, it was decided to hold an intergovernmental meeting at the level of deputy prime ministers in the near future," the statement reads. Earlier, the Ukrainian Institute of National Memory initiated the moratorium on the exhumation of Poles in Ukraine because of the acts of vandalism against monuments and plaques on Ukrainian graves in Poland, including the dismantling of the Ukrainian monument in Hruszowice village, Przemysl county. 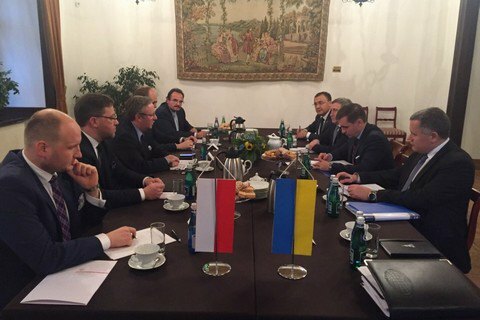 During the meeting in Krakow, Ukraine's representative Kostyantyn Yeliseyev and Poland's Krzysztof Szczerski discussed current bilateral relations and preparations for Polish President Andrzej Duda's visitto Kharkiv in December. They also exchanged opinions on the Eastern Partnership summit in Brussels on 24 November.